In the Spirit Radio is hosted by Gary Goldberg and is a spiritual variety show. Authors, musicians and spiritual practitioners are interviewed weekly. Music is a key ingredient. Artists CDs are played and musicians frequently play ‘live’ in the studio. The editor of Light of Consciousness, Sita Stuhlmiller, has an interview with Gary Goldberg the host of In The Spirit. 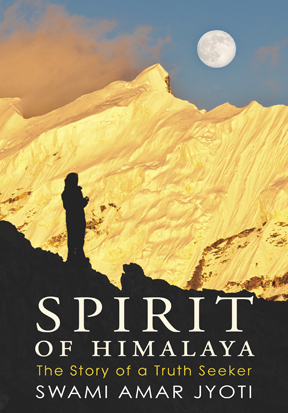 They will be discussing the 4th edition of this classic, originally published in 1979 by Swami Amar Jyoti titled Spirit of Himalaya.